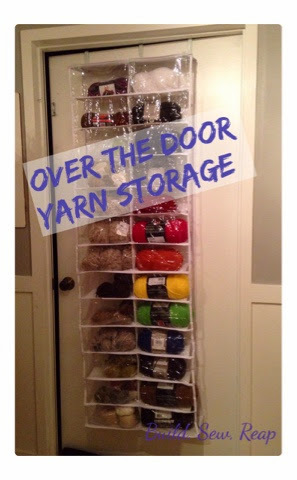 While I can't seem to keep my drive to crochet in check, at least I can keep my new yarn stash in check with this awesome over the door shoe organizer. I totally love it. Now I need to stop buying yarn. I can do this, I really can.